Warm and comfortable, the Flexitog Nordic Thinsulate Fleece Chiller Gloves use a Thinsulate lining to offer exceptional warmth and flexibility. The polar fleece in these gloves ensures that the user will remain warm during use, while the high standard that the gloves are manufactured to ensures durability and longevity. These gloves are ideal for anyone with Raynaud's disease, and are especially suited to keeping your hands warm during outdoor activities that require a strong grip. Utilising Thinsulate technology, the Nordic Fleece Chiller Gloves use 200g of micro fleece to offer exceptional dexterity and high levels of grip. This ensures that the gloves are especially useful for work in the garden or walking the dog, while the comfortable and snug fit ensures your hands will be comfortable throughout. When you have Raynaud's, getting chores done outdoors can be a pain on cold days. These gloves are a perfect solution, as they are versatile, and can be used inside and outside in dry, wet or dirty conditions. The Flexitog Thinsulate Chiller Gloves are available in one size that should suit most users due to the flexible nature of the design. To find out if these gloves are right for you, please measure the circumference of your palm. 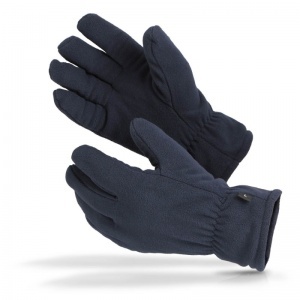 These gloves are ideal for those with a palm circumference between 22.5cm and 25.5cm. The gloves are not for myself, therefore I cannot comment on their effectiveness. However, they appear good quality and warm but not awkward looking as some gloves do. Very fast delivery especially at this time of year.